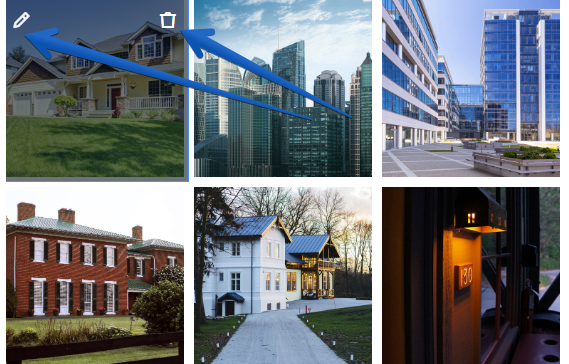 To add multiple images in one place, you can use the Gallery widget. This widget allows you to upload an unlimited number of images and organize them into a gallery on your website. 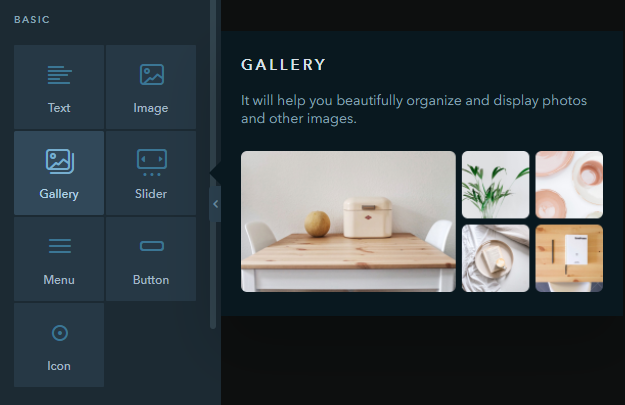 In the Gallery widget, you can use images from the image library of your website or upload your custom pictures (up to 20 different images at the same time). The size of uploaded images should not exceed 5 Mb. In case one of the images you are adding to the website is more than 5 Mb, the images won’t be uploaded successfully. When loading multiple images at the same time, they will appear in the order depending on how quickly each picture has been uploaded to the builder. 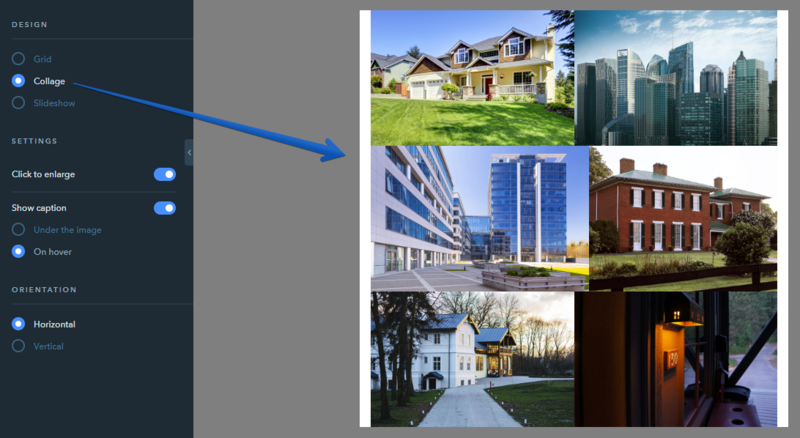 If you want to change the order the images show in the Gallery widget, you can switch to the Slideshow view and arrange images the way you like by dragging pictures at the bottom. 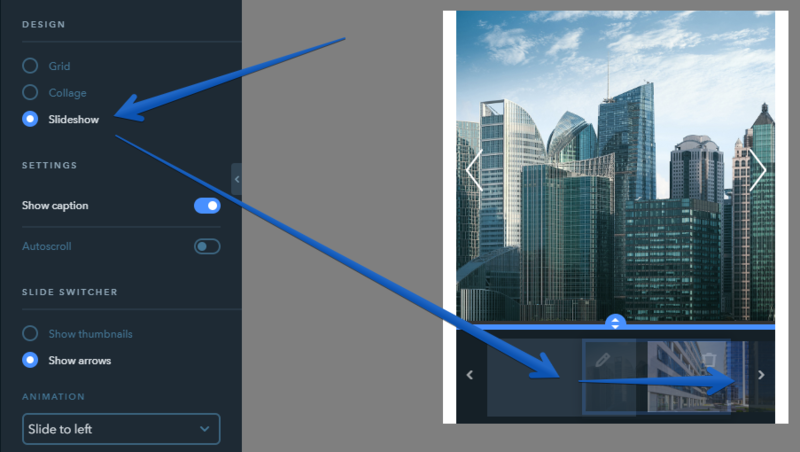 In the image settings, you can replace the images uploaded to the Gallery previously, add captions and alt attributes, as well as crop the images. To access these settings, click on the Gallery, mouse over an image and click on the “pencil” icon in the top left. You can also remove an unnecessary image from the Gallery by clicking on the “trash can” icon. 22 people found this article helpful.